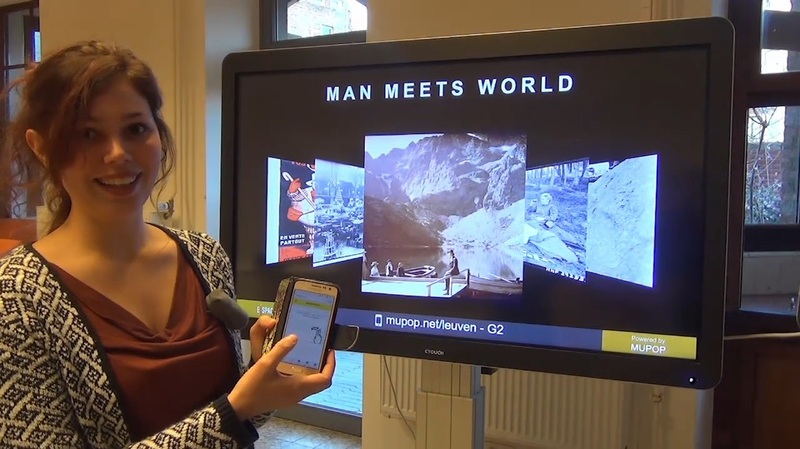 The Institute of Cultural Studies (CS Digital) at KU Leuven used the Pop-Up museum to showcase two photographic exhibitions on the Belle Époque: “Man meets world” about travels and must-see places of the time, and “Cuisine” on kitchen discoveries, eating habits and favorite dishes. As their aim was to display photographs and unveil their stories, they picked for both exhibitions the same main feature: a slide show of a selection of photographs illustrating the main themes (cuisine and travelling) accompanied by audio fragments describing the narratives behind the images on screen and placing them in their historical context. For every photograph, additional audio fragments can be unlocked by pointing to specific details in the images.